Guitarist and vocalist Iván Fariñas de Armas is the “Grandfather” of Cuban rock ‘n’ roll. Yes, you heard right, Cuban rock ‘n’ roll has an ‘abuelo’ — maybe you didn’t know there even was such a thing as ‘el rock cubano’ — but there is. Even if he’s not a household name, Iván Fariñas should be, as he’s extremely talented and is arguably the oldest still practicing rockero from behind The Mango Curtain, since he started in the 1950s. He claims to have written and recorded the first Cuban blues-rock tune in English — over 40 years ago. Fariñasfounded his current group Viento Solar (Solar Wind) in 1975 and was not able to record his music officially until the late 1990s. Though his recordings are known somewhat in Europe and South America, his official physical releases are not distributed beyond Cuba and he remains undiscovered in the United States. 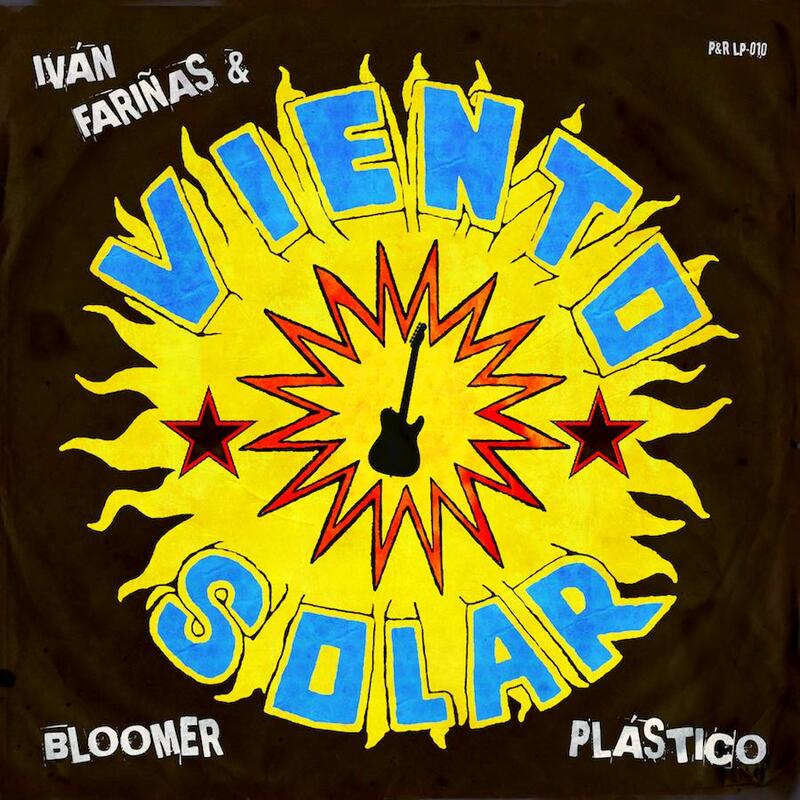 Now for the first time outside of Cuba, Fariñas’ intriguing life story and a selection of recordings of his long-lived band Viento Solar will finally be made available for the world to enjoy, thanks to Peace & Rhythm and Feeding Tube Records. Bloomer Plástico collects rare versions of some of Fariñas’ best compositions, recordings unheard outside Cuba that come from several “maketas” (maquetas or demos) that pre-date his official studio productions and were recorded on reel-to-reel tape from 1996-2001, though some of the songs were originally composed in the ‘60’s and ‘70’s when rock was largely an underground phenomenon on the island. The collection ranges from metallic heavy rock with a punky edge, to blues-rock, with a sprinkling of psychedelic and even some distinctly Cuban touches. Comes with a CD and full liner notes, rare photos, and lyrics.